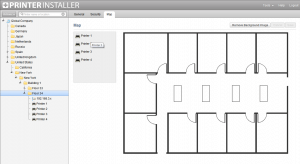 Use maps to enable your end users to quickly find and install printers. 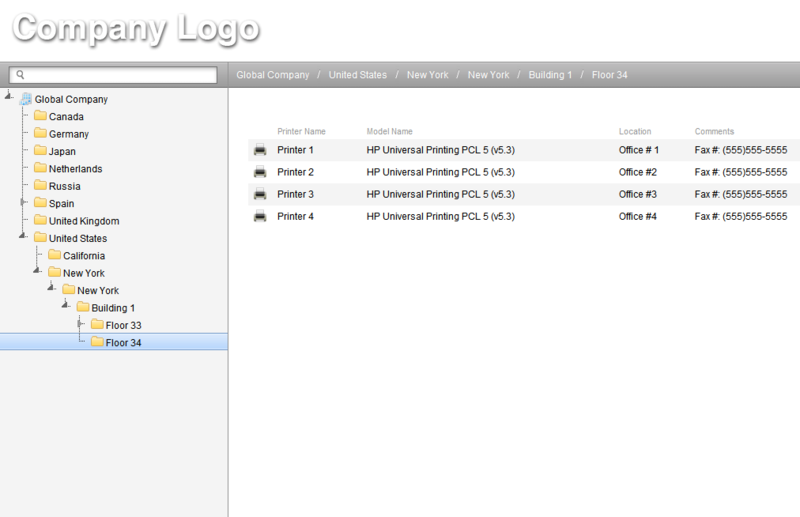 End users will see the map when viewing the portal, allowing them to simply click on the folder they want to install. If a folder does not have a map specified the portal will simply not show the map and will still list any child nodes (folders or printers) on the page. Once the file has been uploaded you will see the available, objects to the left, that can be dragged onto the background image. 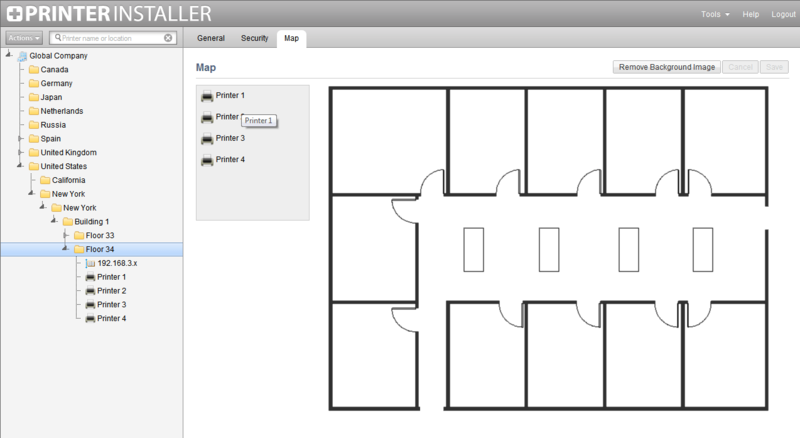 Drag the printer objects to the appropriate location and click Save. You can drag folder objects onto a background image. When end users click on the folder objects in the portal, the portal will select the folder in the tree. 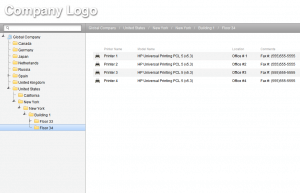 Right click a printer or folder icon that has been placed on the map and select small, medium, or large. Click the "Color Printer" box. To view all settings relating to the Portal and maps, click here.